Over the years my mother wore various types of hats. Beige felt, yellow straw, and an awesome white cowboy hat. One that sported a pink ribbon around-the-base of her hat. It was for when she puttered-in-her-garden-type of hat. She would wear a colorful scarf when she wasn’t wearing a hat. She put on her sporty baseball cap for that. She also wore a baseball cap to go fishing and not a regular hat. She fashioned out of chenille and silk flowers, dressy women’s hats. She would wear one of these for Easter as a church-going hat. And when she branded cows, she wore her old working cowboy hat. 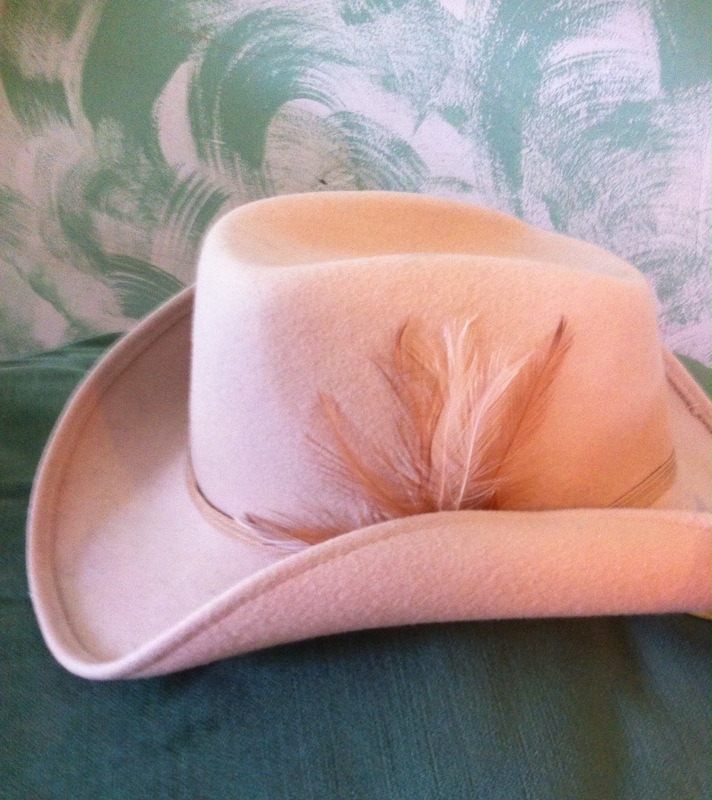 She thoroughly enjoyed wearing her beige felt, cowboy hat.